Lucky Voice is a great place to hang out for food, drinks and live entertainment, including karaoke. 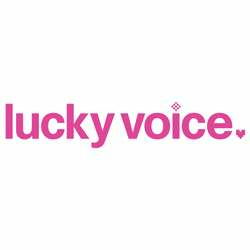 The Lucky Voice journey began in 2005 with their first private karaoke bar in London's Soho. Since then, they’ve spread their wings and now you can find them all across the UK, and now also in Dubai! There will be karaoke rooms available exclusively for our members to show off their vocal talents! InterNations registration is from 19:00 until 22:00, after which the venue policy applies and members can be denied entrance. Guest List closes at 14:00 on the event day. Once the online registration is closed, those who did not sign up can of course still come! In that case, following the InterNations policy, the "Not signed up" fee applies (applicable for guests, Basic Members and also Albatross Members! ).